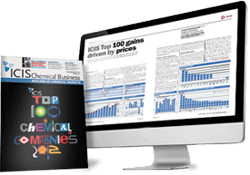 ICIS publishes Methyl isobutyl ketone (MIBK) reports weekly in Asia, Europe and the US. News and analysis puts the market in focus and keeps you up-to-date in order to make vital commercial decisions. The price assessments cover spot in all regions, with contract prices in the US only. 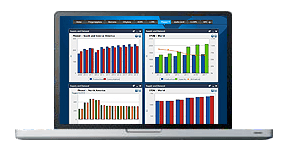 Our detailed commentary gives you an unbiased overview of market movements, including regional news, import/export information, upstream/downstream news, graphs and economic impacts. MIBK supply in Q1 was expected to be ample, as there were no turnarounds expected. Kellin Chemicals will further increase the supply, when it starts up its 15 kta line after Q1. Meanwhile, the other two plants, Yantai Wanhua and Zhuhai Long Success have no definite timeline for starting up. MIBK demand in Q1 was likely to be subdued in the lead-up to Lunar New Year in early February. Although some restocking activities were likely in February after the festivities, the recent volatile price movements in the upstream acetone and propylene markets were likely to keep players on the sidelines. Supply of methyl isobutyl ketone (MIBK) is expected to be readily available in the first quarter of 2019 with no planned production closures. The market is balanced to long with some extra length likely to come from renewed competitively priced flows of Asian material into Europe. Demand for MIBK is expected to remain stable with a gradual pick up in January after the traditional year-end slowdown. MIBK is mostly used in the paints and coatings industry, which peaks in the spring and summer season. 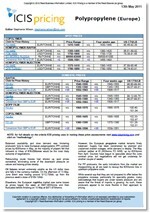 Therefore, demand is set to be fairly subdued throughout the first quarter of the year. Methyl isobutyl ketone (MIBK) is an excellent solvent for resins used in the production of surface coatings. The main solvent applications are in transportation, refurnishing and marine coatings, construction coatings, wood coatings and metal coatings. MIBK is also used in rubber chemicals for the production of tyres, as a solvent in the manufacture of pharmaceuticals and adhesives, and for specialised metallurgical extraction. The two main processes for making MIBK are from acetone condensation and isopropanol (IPA). MIBK is a colourless liquid with a characteristic ketone odour. It is highly flammable and vapours may travel to the source of ignition and flashback.